GIVI Asia celebrates its 25th anniversary! 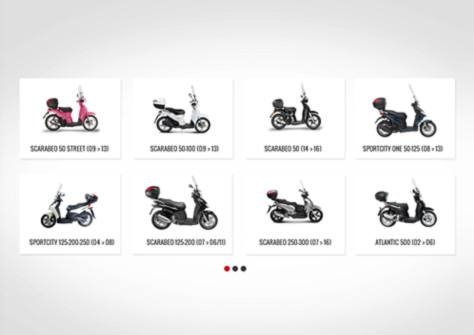 GIVI Asia is the regional headquarters for GIVI operations in Asia and manages more than 20 networks of independent distributors in Vietnam, Indonesia, Japan, Taiwan, Singapore, Hong Kong and Thailand. 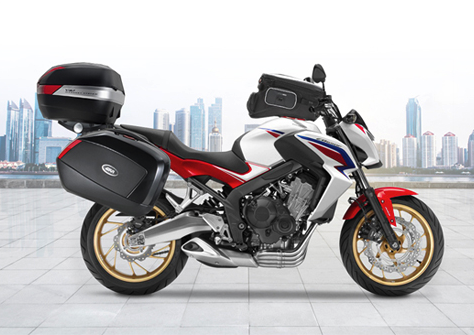 Founded in Malaysia in 1994, GIVI Asia constantly demonstrates its commitment to increasing safety on two wheels, by giving priority to quality and safety when choosing accessories that best suit the needs of Asian motorcyclists. This week, in Pahang, GIVI’s Asian headquarters celebrated its 25th anniversary with the glorious launch of 15 new products at the Hotel Grand Ion Delemen, in Genting Highlands. The new range of products presented, boasts the latest innovations and technologies designed to meet the current demands of the Asian market. The latest products range from top cases, soft bags and pouch bags to waterproof clothing and helmets. As far as the top cases are concerned, these are advanced versions of the current top cases that guarantee ease of use, high visibility, reliability and durability. The B32N-ADVANCE BOLD, for example, is the advanced version of the MONOLOCK B32 BOLD and is equipped with four additional components for travel practicality: two stainless steel handles on the top of the lid, an elastic supporting net, specific backrest and internal padding. The B270N MONOLOCK, on the other hand, is the most recent top case, with a load capacity of 27 litres, and is a restyling of the current B27N CLACK with an elegant and aerodynamic design. In addition to the two new top cases, GIVI Asia also presented the new MONOKEY E23. With 23-litre capacity on each side, these side cases have a maximum load of 5 kg, and as well as being very strong with an elegant design, they have additional integrated signal lights and reflective stripes for greater visibility. Another innovative addition to the range of GIVI products is the G12 FIXED SYSTEM CENTER CASE. Compared to the previous G10 Center Case, the G12 Center Case has a maximum load capacity of 12 litres and is much more compact. GIVI Asia, also launched new products in 3 other segments, amongst which the Prime Range products, the products in the Rider Tech range, such as, for example, the RBP03 RIDER TECH CAMO 15-litre backpack, the RWB05 RIDER TECH CAMO 3-litre pouch bag and the RSB01 RIDER TECH 15-litre saddle bag, and waterproof clothing such as the PRS04.AX PRIME and CAM01.AH CAMO waterproof suits and the CRT01.AX COMFORT rain pants. There have been many achievements over the years, and many new ideas are on the horizon: happy 25th Anniversary GIVI Asia!